MIT Global Startup Labs in collaboration with Kathmandu University powered by Ncell produced nine prospective startup teams of Nepali students who at the end of a seven weeklong intense innovation boot camp pitched their ideas and business plans to a panel of judges on Thursday (August 2). The Demo Day was organized to provide the students with an opportunity to showcase their innovations, demonstrate public speaking, and inspire startup culture in Nepal. The Demo Day brought to the center stage leading-edge startup ideas and their working prototypes, which have high potential to address the way Nepalis are served in health, education, tourism, and professional services. The prototypes showcased on the day reflected on the training that students underwent during the MIT GSL program. The Demo Day was also attended by numerous entrepreneurs, business leaders, academic officials, and potential investors. 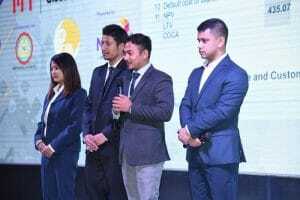 MIT GSL was conducted for the first time in Nepal by MIT in collaboration of Kathmandu University (KU) and Ncell, with 35 students from KU who formed 9 teams and worked on their respective startup idea. The teams were supported by 4 MIT instructors. The participating students were chosen from among 150 students and alumni of KU. The panel of judges at the Demo Day comprised of Atulya Pandey (COO and Co-founder of Pagevamp.com), Aayushi K.C. (Founder and CEO of Khalisisi), Nikita Acharya (Co-founder and CEO of Urban Girl, UG Cakes, and UG Chocolates), and Himal Karmacharya (Founder and President of Leapfrog Technology). Keynote speaker, Sumana Shrestha, MIT alumni MBA 2013, entrepreneur and founder of Bhuntu who also runs a private management consulting firm inspired the audience. The best three start-up ideas chosen by the panel of judges were Sajilo Marmat Sewa followed by Kinder and Opus. 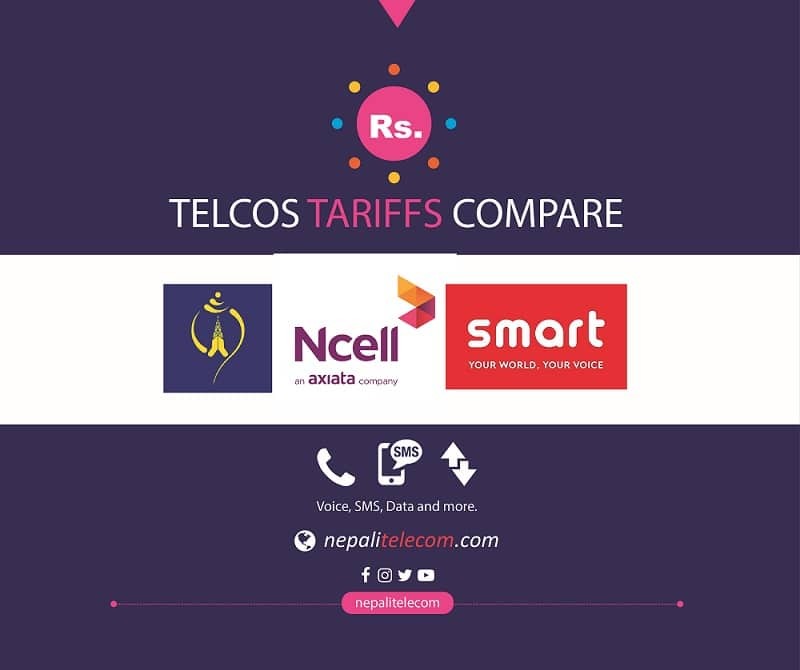 Each of the three teams has been awarded an opportunity to participate in the Micro Master Course (MMC) online course of MIT and also received a seed fund of Rs 500,000, Rs 300,000 and Rs 200,000 respectively from Ncell. Likewise, they have also been rewarded with space and mentorship facility at Kathmandu University School of Management (KUSOM) Incubation Center. Members of other teams have also been awarded an opportunity to receive a certificate course from MIT EdX. 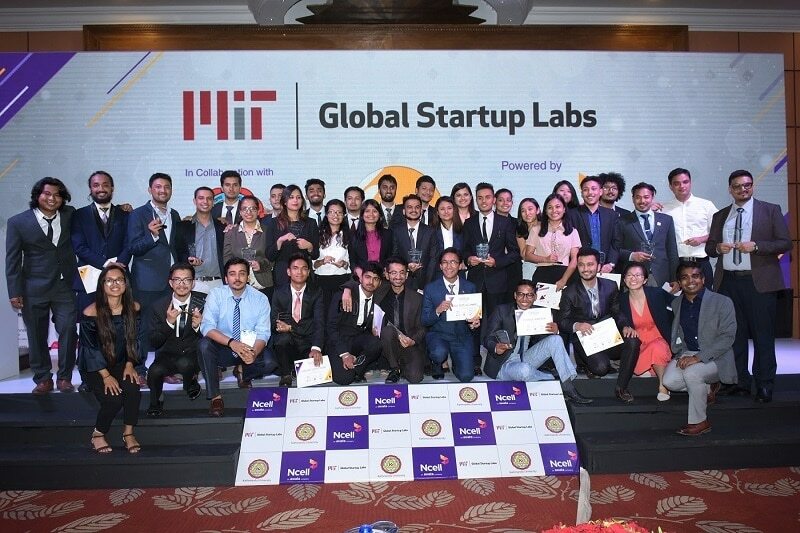 The MIT has been conducting MIT GSL program for the last 18 years in 25 countries promoting economic development by cultivating young technology entrepreneurs, including India and Sri Lanka in South Asia. The program has been empowering technology entrepreneurs and helping to cultivate the startup ecosystem in emerging economies. Four MIT instructors – Sisam Bhandari, Hem Narayan Das Chaudhary, Suresh Rajan, and Jackie Xu – supported the participants with an aim to introduce the MIT style of learning in Nepal through hands-on learning, an interdisciplinary curriculum of technology and entrepreneurship, and 24/7 commitment to pursuing one’s dream.